The government expects its citizens to pay taxes on their income, sales and for various other reasons. But, it also offers certain provisions due to which some people can get a tax exemption. However, such people are required to fill in the tax exemption form and submit it to the concerned authority. 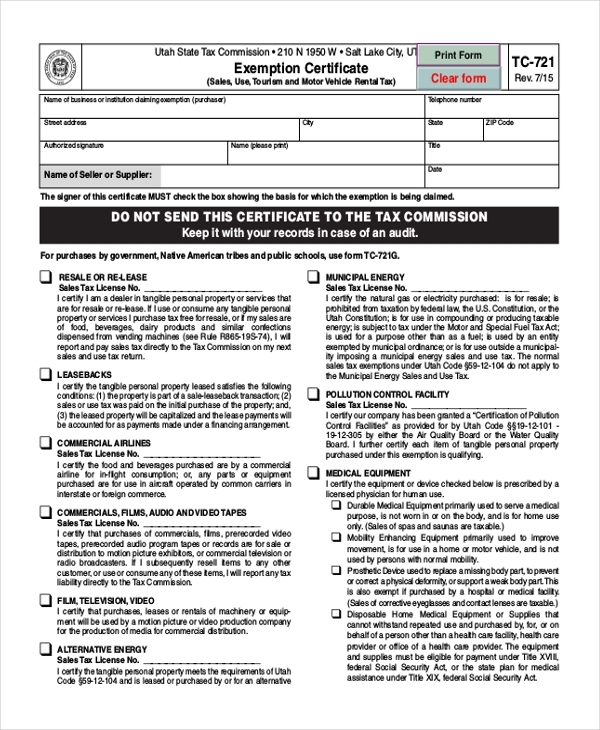 These Tax Forms contain the details of the applicant and the provisions for which he is requesting for tax exemption. The tax department reviews this form to check the authenticity of the situation before giving a go ahead. 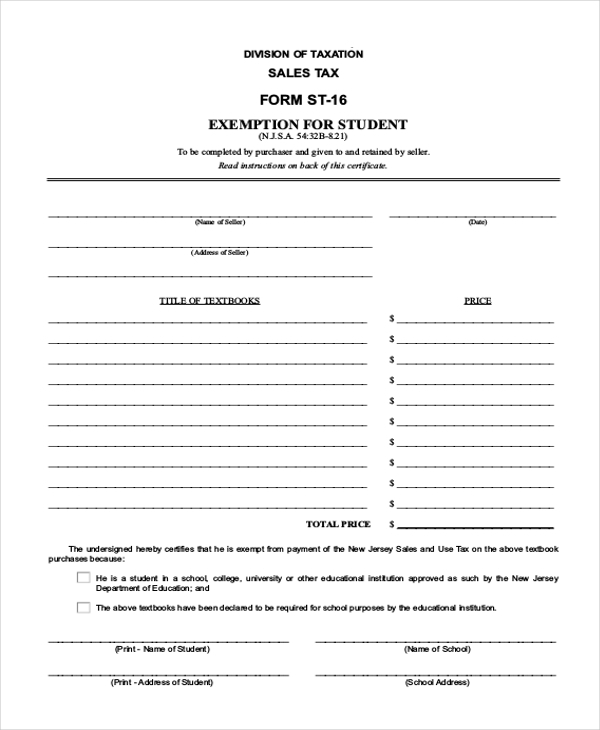 This form is used by the tax department to allow a person to request for a sales tax exemption. 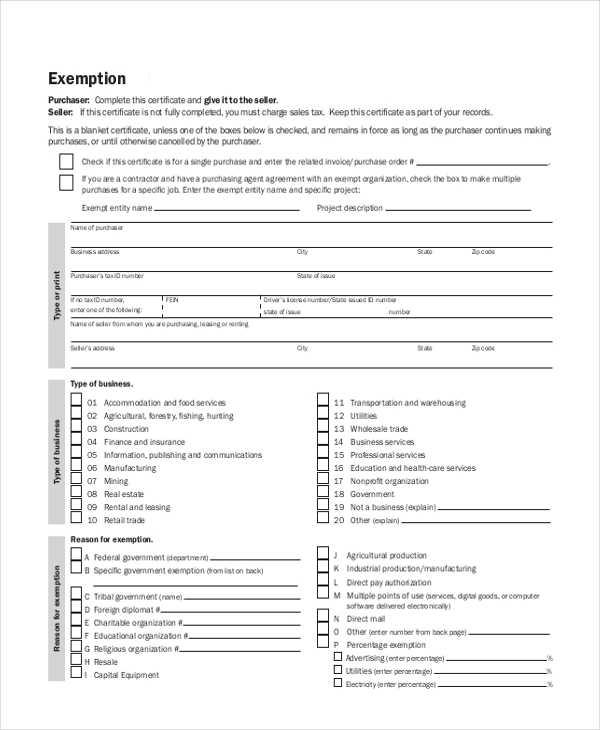 Using this form, he can request for an exemption for one purchase or can gain an exemption for an extended period of time by providing valid reasons. You may also see Payroll Tax Forms. Hotels usually offer a tax exemption to the guests who are used to serve in the military services. They use this form for this purpose. 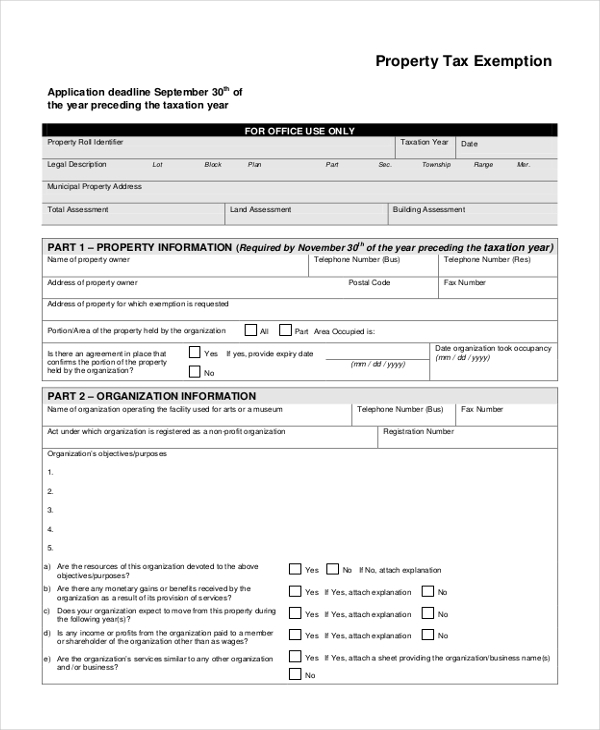 The personnel is required to fill in his details in this form and submit it with relevant proof. 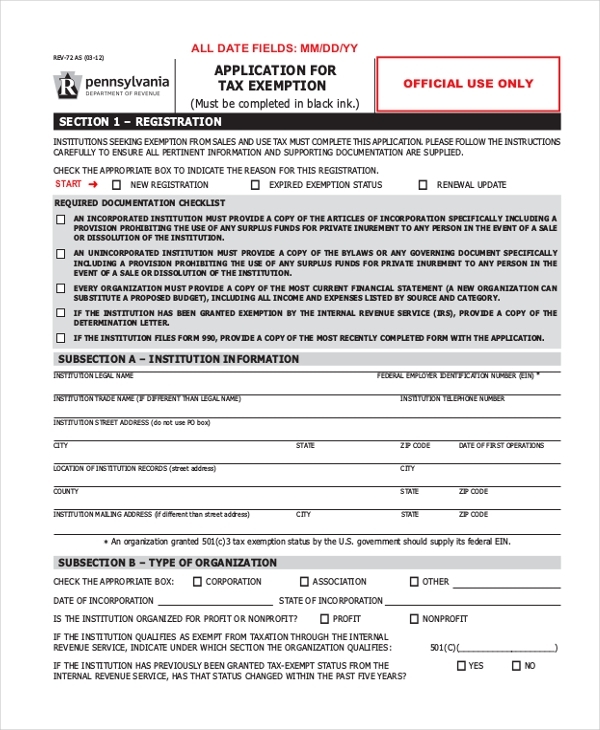 Tax department makes use of this form to allow business owners to request an exemption from paying federal sales tax. Of course, they need to cite the reason for such a request which if authentic will get them the exemption. You can also see Federal Tax Forms. The government usually offers tax exemption to people who may also be pursuing their studies. In such cases, these people are required to fill in the aforesaid form and hand it to the tax department for perusal and review. When a person wishes to request a tax exemption from the government, he needs to do this with some professionalism. Using this form helps him to make this request in the most professional manner. 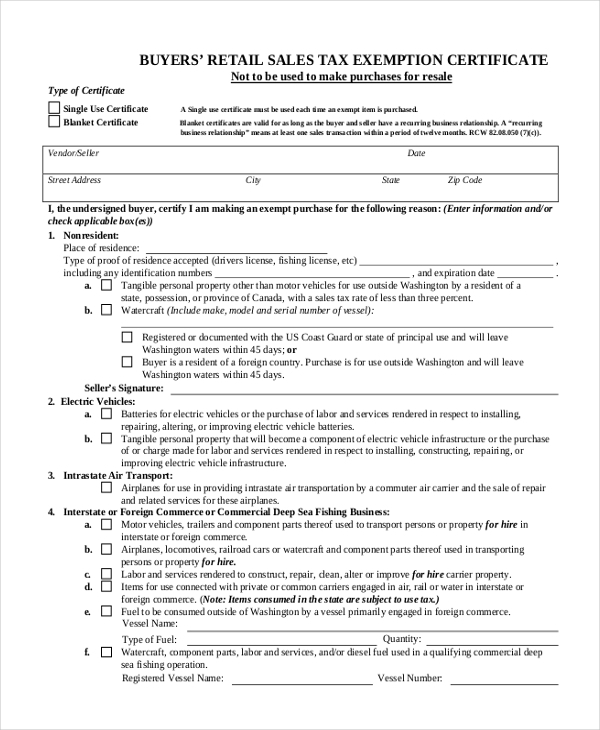 A person who wishes to request for an exemption on property tax can use this form for the purpose. With all the segments in place, he just needs to add in the relevant information in the form and then submit it to the authority concerned. As the name indicates, this certificate is used by the government of Utah to issue a sales tax exemption to a person. However, this can be used by other government agencies to design such a certificate. When a buyer requests the government to offer him an exemption from the retail sales tax, the government reviews his application. Once it is satisfied, it offers this certificate to the person exempting him from retail sales tax. 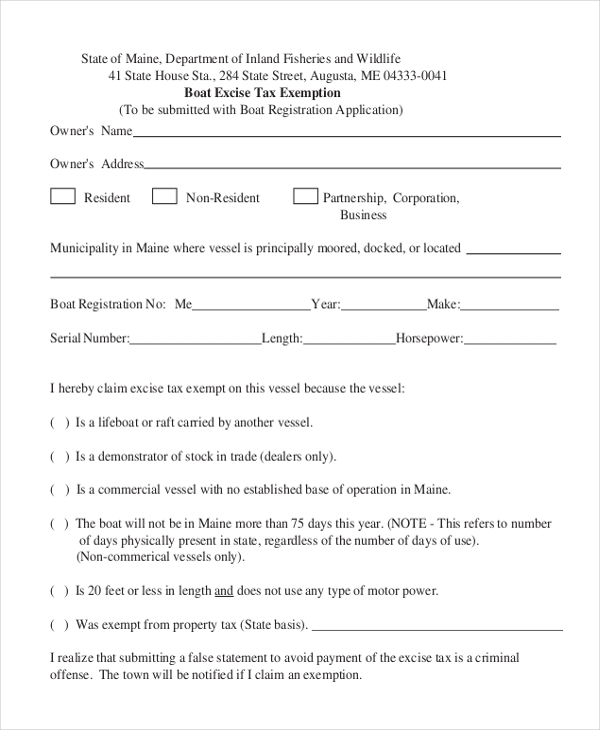 When a person wishes to request a tax exemption on his boat excise, the concerned government agency asks him to fill in this form with all the relevant details. 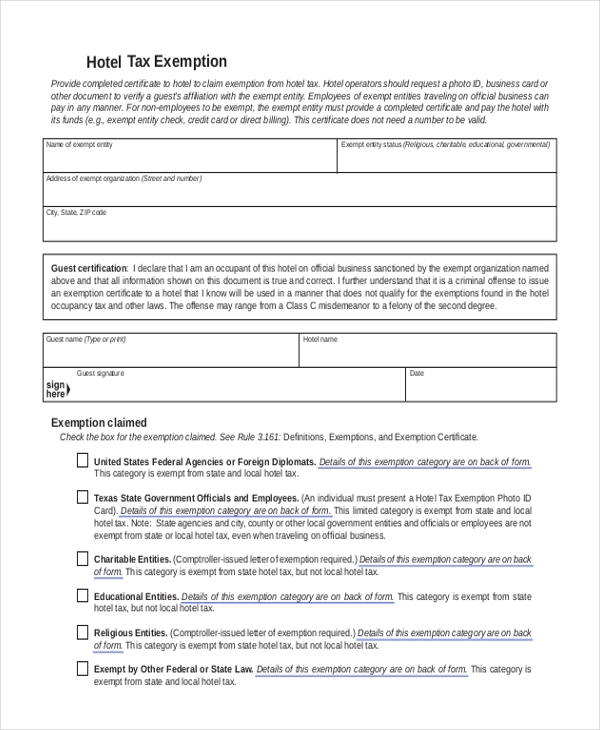 Why Should One Use Tax Exemption Form? 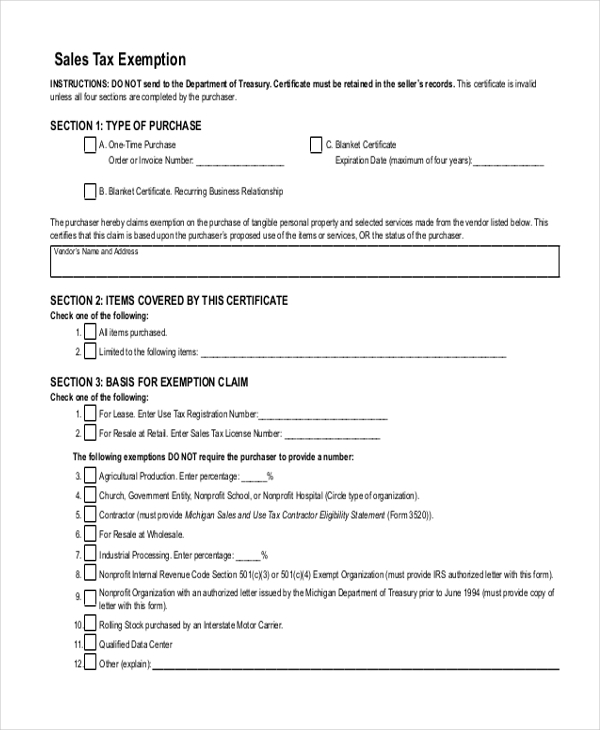 In case you are not sure how to design a tax exemption form, get some cue from our collection of tax and General Affidavit Forms. Easy to download and customize, these help you to come up with a unique form within no time. Available in MS-Word and PDF format, these forms are an ideal choice for all.